I’ve seen a number of trends with community banks and credit unions during my 30-plus years of working with IRAs. As a financial services representative in the mid-1980s, I saw CDs paying 18 percent over 10 years. Clients were placing their IRA contributions and rollovers into deposit accounts as part of their investment plan. When the stock market and interest rates both fell dramatically in 2008—the start of the Great Recession—individuals were sent reeling as they attempted to secure their retirement dollars. The stock market has recovered over the past decade, but interest rates have only just begun to do so. I am hearing with greater frequency today that community banks and credit unions are seeking more deposits. One key strategy to gain deposits is IRAs. But for some time now, many of these financial organizations have not gone beyond minimum maintenance with their IRAs. Over the past 10 years as interest rates remained low, it’s been easy for depository institutions to borrow low cost funds, and stimulating deposits has not been a primary focus. IRAs became something that required service and there was little worry when IRAs closed. 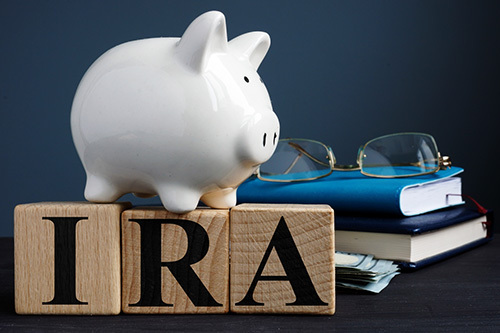 In addition, financial organizations experienced a significant loss of IRA knowledge over the past decade due to staff reductions and retirements, often requiring other staff to absorb IRA duties into their routines. But with rates slowly beginning to rise, and recent volatile activity in the stock market, individuals again are more actively considering where to place their retirement dollars. Your organization may be the place. Baby boomers are actively retiring every day, thus slowly becoming a smaller part of the workforce. Some are leaving their primary career to work part-time to supplement their retirement. They are seeking modest growth and preservation of capital, not volatility and the prospect of loss. Baby boomers are also rolling over significant employer-sponsored retirement plan savings (new dollars) into IRAs, and are taking direct control of how those dollars are invested and used. They remember when CDs offered a valuable, safe choice for long-term savings. And while they are comfortable using the Internet for financial services, boomers are also very willing to visit a branch if the service they receive provides value. This group also is spending time planning on how best to provide for their beneficiaries. Generation Xers (a more quiet generation) are now entering their 50s. Many are sending their children to college or vocational school, while others have already completed that phase in their life. This group is becoming more focused on accelerating their retirement plan savings and making up for lost time. The recent Allianz Life® “Chasing Retirement Study” found that approximately 50 percent of those approaching retirement are “chasers,” meaning that they may have retirement savings, but are behind on their retirement savings plans. This group is looking for ways to get back on track. One thing that is seldom referenced in retirement planning advice and online tools today is Traditional and Roth IRA catch-up contributions for individuals age 50 and older. This now comes into play for some generation Xers, who are ages 39‒53. An IRA owner can add to the maximum regular IRA contribution ($5,500 for 2018 and $6,000 for 2019) an additional $1,000 contribution annually to help them catch up on their savings. Generation Xers also are willing to conduct online transactions, but because they have been busy raising their families and advancing their careers, many have not fully bought in to online finance. Providing information and advice to generation Xers can be an important element, especially if it is done proactively. Last, generation Xers likely are dealing with the loss of a parent or grandparent. They will look to you to provide assistance with beneficiary claims and all the complexities that come with those transactions, giving you direct contact with these individuals and an opportunity to provide information on IRAs as retirement savings tools. Millennials are good savers. They are tech-smart and communicate primarily through messaging. And while not heavily focused on retirement at this age (generally ages 22‒37), they have started the saving process through their employer retirement plans. Ascensus data for year-end 2017 shows that millennials have an average retirement balance of just over $11,000 in their 401(k) accounts. This also is the group with the highest number of employment changes. Employment change equals rollover opportunity. While they appreciate and use the technology solutions offered by the larger financial services firms, millennials prefer the community presence and focus of local firms. “Buy local” is a familiar mantra of this age group. They may not visit a branch often, but want to know that one is nearby. You can become a trusted resource for this demographic group by providing straightforward and valued advice on items such as retirement plan rollovers to IRAs (new dollars coming in), and can build a long-term bond with this group. Finding the right way to reach all of these groups effectively is key. Making sure you have the expertise available is equally critical. There is no single promotion that will reach all of these generations equally well. But financial organizations today have the ability to mine their own data and present more targeted marketing to each age group. They also have the ability to deliver a more focused message through email or text, and can invite the reader to review specific website content. Each generation is seeking a trusted source for financial information. Your website can present content or brief video snippets that review key concepts. Your educational content can also easily include a call to action. The goal is for the user to take that next step. When the recession hit in 2008, many financial organizations lost key expertise due to workforce reductions and baby boomer staff retiring. Many organizations relied on that one individual who took care of their IRAs for years. This is something that many had not planned for—and did not fully understand the effect such personnel loss would have on their IRA business. As important as education is for your clients, it is equally important for your employees. IRAs can be a valuable asset to your organization, but they can also cause negative events if handled incorrectly. To be successful, you may need to consider making a commitment to educate your team and be willing to seek outside support from IRA experts. IRAs are long-term investments for every consumer group. As deposit products become more competitive, you have the opportunity to provide a valuable service and gain long-term clients and deposits.